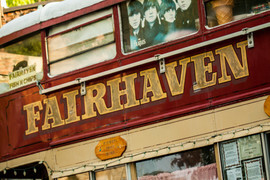 Mission: To promoting Fairhaven Village as a community while preserving it's historical character. Vision: To preserve and inspire a vibrant, authentic village by creating and fostering unique experiences and connections. The HFA is about Community. We are a group of business owners, non-profit organizations, and individuals who provide time, resources, and intellect to support the preservation and business success of Fairhaven Village. Through community events, social gatherings and beautification we celebrate the people and the history that make Fairhaven Village the special place it is.